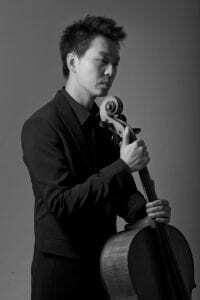 Since his successes at the 11th Tchaikovsky International Competition and the 2001 Naumburg Competition in New York, Li-Wei Qin has performed throughout the world as a soloist and as a chamber musician. “A superbly stylish, raptly intuitive performer” (Gramophone Jan. 2015) was the description of the cellist’s Elgar and Walton concerti recording with the London Philharmonic. During the 2014-15 season, Li-Wei will make his debut with the La Verdi Orchestra Milan and the Los Angeles Philharmonic. He will also perform at the Konzerthause Berlin and return to the Adelaide Symphony, Shanghai Symphony, China and Auckland Philharmonic Orchestras. Li-Wei has enjoyed successful artistic collaborations with orchestras including London Philharmonic, BBC Philharmonic, Hong Kong Philharmonic, Rundfunk-Sinfonieorchester Berlin, Konzerthausorchester Berlin, NDR Sinfonieorchester Hamburg, BBC Symphony, Sydney and Melbourne Symphonies. He has also appeared with chamber orchestras including Kremerata Baltica and the Munich, Zurich, and Australian Chamber Orchestras. In chamber music, Li-Wei is a regular guest at Wigmore Hall, BBC Proms, City of London, Jerusalem, Rheingau, Mecklenburg-Vorpommern Music Festivals, and the Chamber Music Society of Lincoln Center, New York, collaborating with musicians including Daniel Hope, Nabuko Imai, David Finckel, Wu Han and Peter Frankel. Born in Shanghai, Li-Wei moved to Australia at the age of 13, before studying with Ralph Kirshbaum at the Royal Northern College of Music, Manchester. In 2002, Li-Wei received the Young Australian of the Year Award. Other major invitations included appearances at the 2008 Beijing Olympics (New Zealand Symphony) and the Davos World Economics Forum (Basel Symphony). Li-Wei plays a 1780 Joseph Guadagnini cello.